Two hours before she played an intimate invite-only showcase to a select group of fans and media, Dua Lipa sat down with us at JW Marriott Hotel Singapore South Beach for an interview. The statuesque 21-year-old English singer/songwriter was all pumped and raring to tell us more about her hotly anticipated debut album that drops on June 2nd. We suss out what it felt like to work with Coldplay’s Chris Martin, why she once thought she couldn’t sing and what else’s in store for the trailblazer. Given the hype surrounding your debut release, do you think there’s any pressure to deliver? How do you think you’re handling it? Well, pressure makes me work really hard, and I enjoy the pressure. Now I feel like i’ve come to a really good point, especially with this album. I feel really proud of it and I’m just really ready to release it. It’s so nice to see ‘Be The One’, which was released in 2015, take off in different parts of the world now. What do you think is so special about that song that makes it a slow-burner hit? It’s quite crazy how ‘Be The One’ has taken a life of its own… It’s slowly kind of, gone to different territories and it’s been really quite wonderful because it’s taken me to so many new places. And maybe because it’s one of my first songs to really hit radio and introduced people to me. It always felt like the right song as the first introduction, but I also think it has a really infectious beat. Not to blow my own trumpet, but I think there’s nothing quite like it. There’s something really different about it rhythmically and lyrically that makes you want to sing along to it. It’s a pop song but also has an underlying meaning. I feel very lucky [with it]. The run up to the album release has been extraordinary. How has the artistic process been for you? I think now the times are changing so much and it takes a lot to break a new artiste and introduce them to the world, and there’s so many territories. It feels like it’s been a long time, but I’ve only for the first time now, a month before my album, have the opportunities to come to places like Southeast Asia. I think, especially for a debut album, you can no longer just put one song out and expect the whole world to hear it, because it’s really dominated by bigger artists – the second they release an album it dominates the whole chart, really. So that’s why it feels like it’s been so long and quite staggered. Everytime I felt I was ready to release my album, there were different opportunities that’d come up. Now I personally feel like I’m very ready for the album as a whole. Speaking about opportunities, you’ve also got collaborations on the album. We’re dying to know, what was it like working with Chris Martin of Coldplay on the track ‘Homesick’? We might just jump straight into that song first when the album drops! It’s the last song on the album and I feel like it’s a very beautiful way to close the album as a whole. What sets you apart is your unique, smoky tone that’s easily identifiable on your songs and features. Has there even been people in the past who doubted your abilities to be a pop singer, with your raspy tone? It definitely stopped me me doing a few things! When I was young, I wanted a place in the choir but I couldn’t sing the high notes, which I still struggle with. I’ve got a loud, belty voice but I can’t hit crazy high notes. 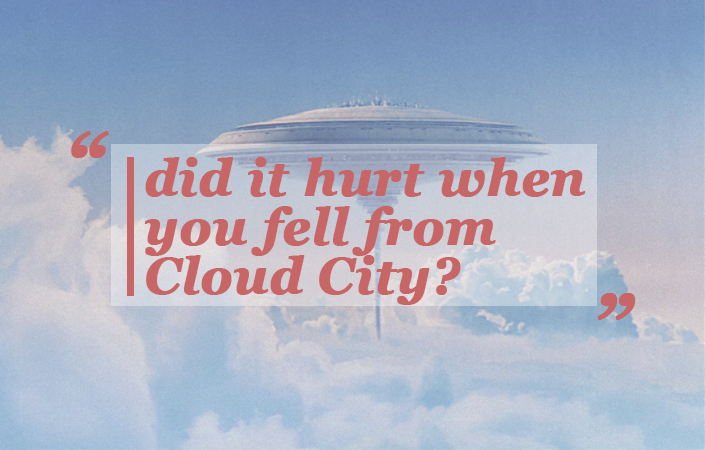 That was definitely one of those things where as a child, it was quite heartbreaking. I was like, “Oh, I can’t sing! I can’t hit the high notes!” When I went to theatre school, it was there that the teacher really helped me build my confidence but I’m really glad that I kept my tone because I feel like it would’ve changed if it weren’t for musical theatre. So I feel like I stayed for the right amount of time so I still wouldn’t lose my identity and my voice. It’s definitely my lower register that separates me. Do you have anything to say to people who doubted your potential to be such a huge star? Everybody’s entitled to their opinion and that’s absolutely fine. To anyone that wants to do something and there are people getting in the way of it, I feel like as long as they believe in themselves and they stick by it and it’s something they’re really passionate about, they shouldn’t let go of that dream. Because one person’s opinion is dulling your sparkle, it shouldn’t be the reason you stop doing what you’re doing. You’re part of the rising generation that’s finding fame through social media. How do you think you’re different from people who are trying to get their start there but have yet to do so? I use social media to my advantage. I was like, “Okay, what’s the best way for me to showcase what I do?” and I thought I’d put it on the internet. I put videos on Facebook and my friends in school watched it. It was way to show people that I was singing. And if I met anyone who wanted to do music, I’d tell them to listen to my cover [of a song] and if they liked it, I’d ask to work together. It was an ongoing thing like that where I used it more as a tool and a portfolio to get out there. It’s a thing now where social media is really taking over. They’re a lot of independent artistes doing it all on their own. It’s really just about being persistent and believing in what you do because that’s the only way you’re gonna make anyone else believe in you, is by being sure of yourself. You opened for Troye Sivan’s tour and the dynamics of your friendship with him is just adorable. What’s he like to tour with? Before I went on tour with him, I knew his music of course, but I didn’t know him on a personal level. It was my first time doing such as big tour in the US. He’s so sweet, so kind and hardworking. He was really inclusive and I felt like I was really spoilt because a lot of people in my band were telling me that you don’t really get experiences like that when you go on tour. You barely even get to see the artiste. He’s definitely a massive role model, especially for the LGBTQ community and it’s something that really inspired me, that the things you really believe in, you should speak up about and you should support [them]. Be it the LGBTQ rights, or about minorities or feminism, or just whatever you believe in. He’s just such a nice person. Seeing his success happen to such a nice person is really sweet. On a scale of 1-10, how psyched are you to be opening for Bruno Mars next year? I am a 12? A 13!? I don’t really know. I mean, getting to do such a massive tour in stadiums and to get to share a stage with an artiste that’s so amazing, I can’t even. I remember watching him on stage at the BRIT Awards and I was dancing and I couldn’t stop. I absolutely can’t wait. So what’s next in the pipeline after the album release? I’ll be doing festivals this summer. I’m also announcing tour dates so I’ll be starting the album tour in UK/Europe and it’ll grow and hopefully I’ll come back to Singapore, that’d be insane. I’ll just keep going and I’ll start writing again early next year for the second album and I’ve got a few songs already. I feel like because I’ve learnt so much about the process and how I like to write and work, I think the second album will come much quicker. Dua Lipa’s debut album is out on 2nd June. Listen to her music here. Thanks to Warner Music Singapore for the interview! 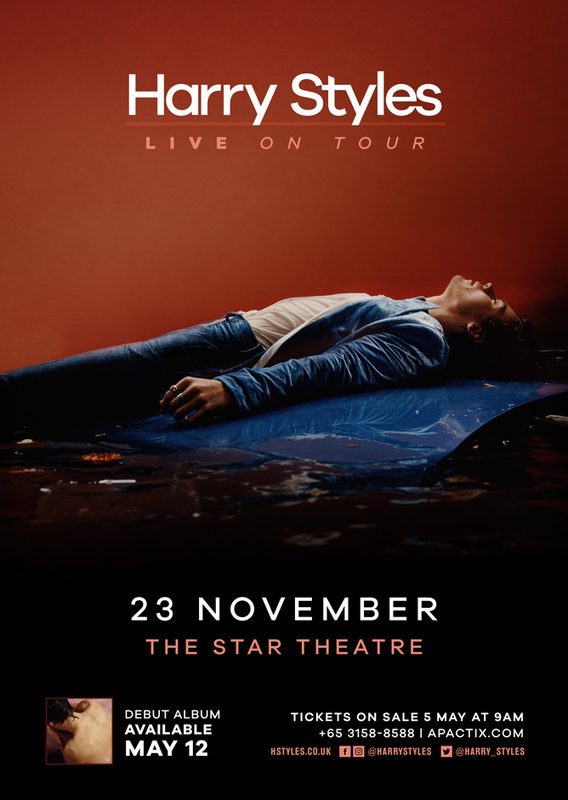 It’s official, Harry Styles isn’t the only one coming to Singapore this November! 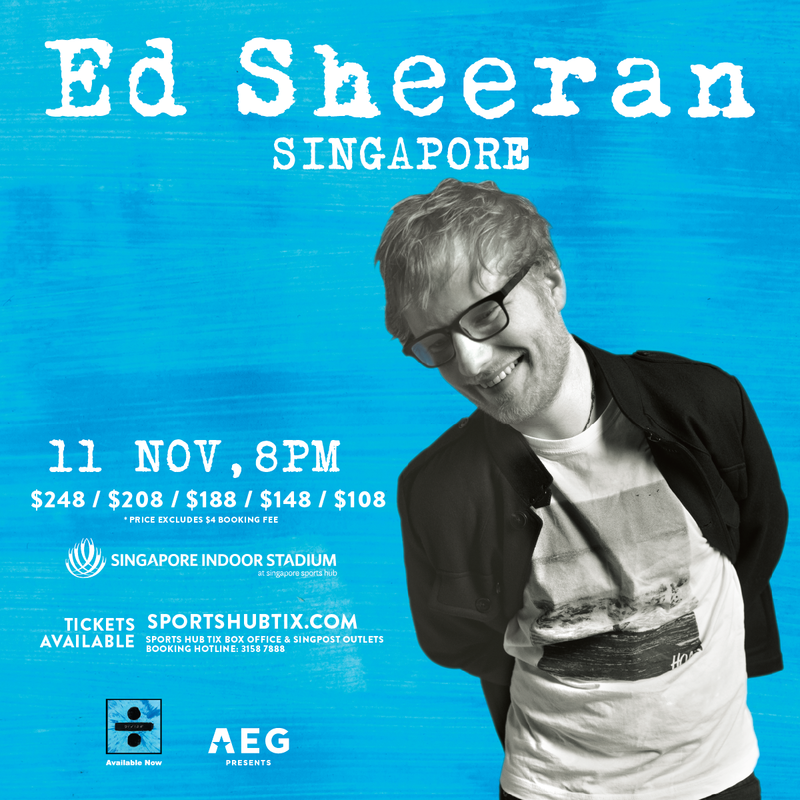 Ed Sheeran’s upcoming gig was literally just announced and either way, we’re gonna be at least $100 poorer because whether it’s choosing to see Harry Styles or Ed Sheeran on tour, there’s no way we’re gonna miss both. Here are the details of their shows ahead of ticket sales. Tickets available from www.apactix.com, hotline +65 3158 8588, Indoor Stadium Box Office and all SingPost outlets. Public on-sale date: 5 May 2017 (Friday). Online sales start at 9:00am. Hotline, Indoor Stadium Box Office and all SingPost outlets start at 10:00am. There is a maximum number of 4 tickets per transaction. Listen to Harry’s latest track, ‘Sweet Creature’ here. His self-titled album will be released on 12 May. Who will you be catching in concert? Let us know in the comment section below! 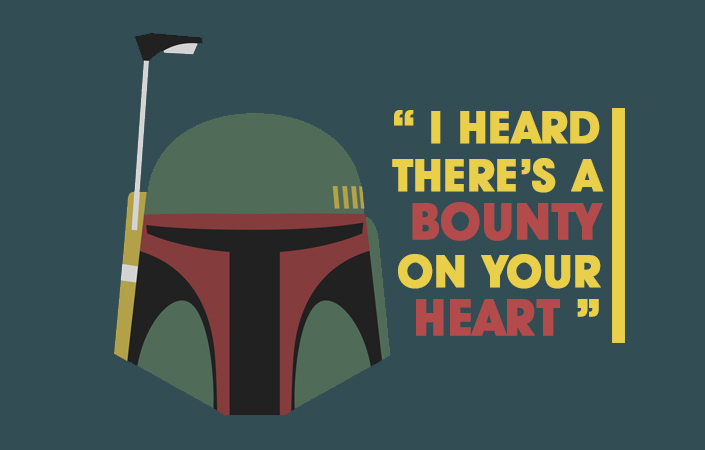 Score An Extragalactic Date With These Star Wars Pickup Lines! Navigating the dating field may be as treacherous as negotiating a deal with Jabba the Hutt or podracing through the tricky terrain of Tatooine. 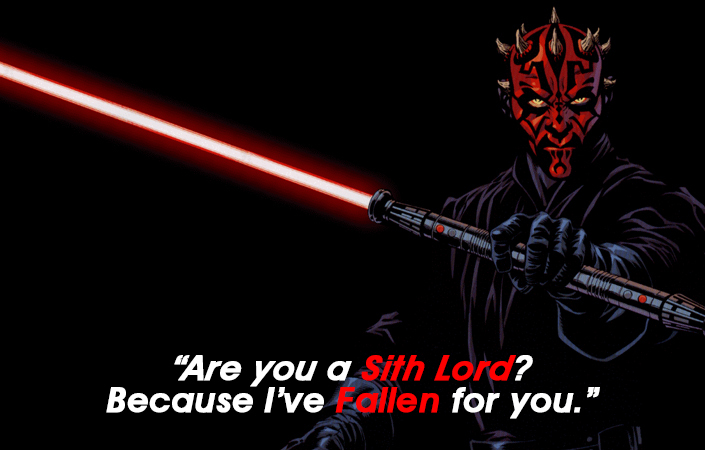 Here to help you out this May 4th, we present 12 kickass Star Wars pickup lines that may just help you snag that perfect Star Wars fan date! May the Force be totally with you. #1 Will You Be My Date? 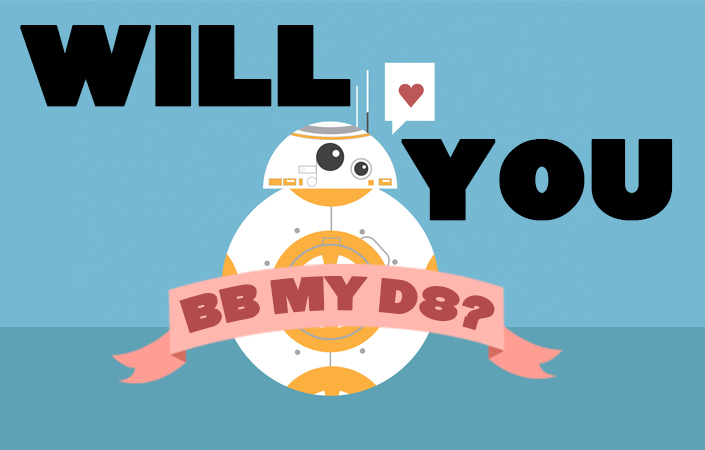 We can’t think of anyone who’d say no to that super cute BB8! For when you need a grand declaration of sorts, throw in an Obi-pun to lighten the mood and ease your nerves. 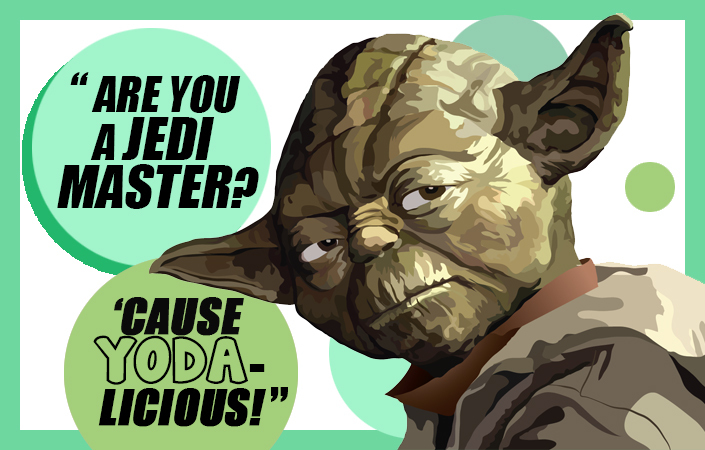 Yoda don’t lie, delicious you are! For the ones who resonate with the Dark side, this liner is the perfect way to express your affections without seeming too sappy. ‘Cause the Dark side’s too cool for cringe, duh. Follow up with: “And I’m here to claim it.” Gold material, right there! 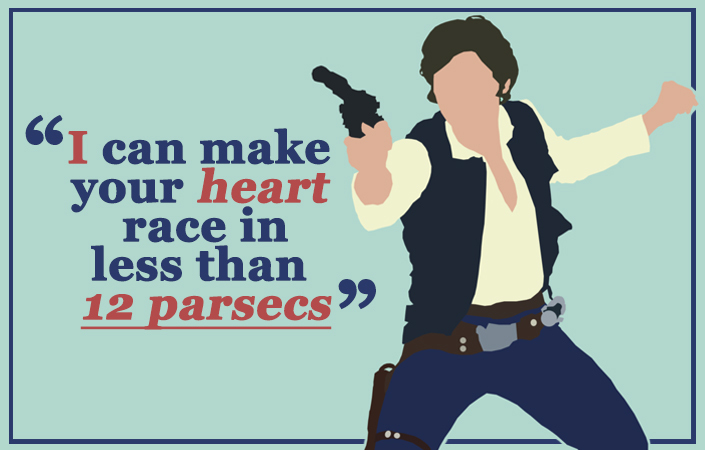 Anyone who’s familiar with Star Wars and Han Solo’s legendary prowess will definitely be impressed. 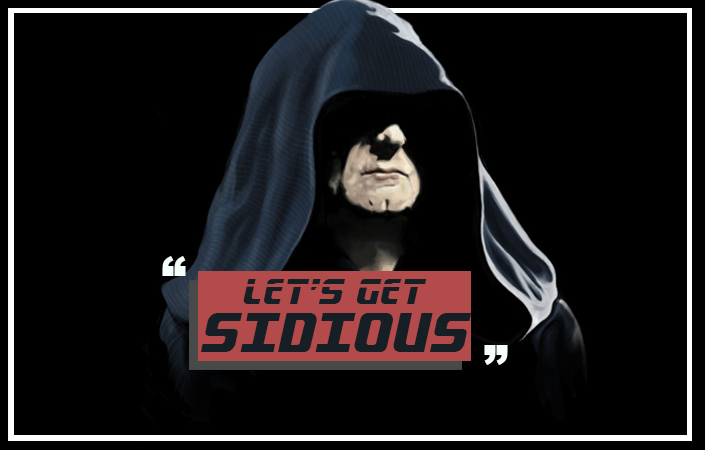 Yet another great way to declare your love without being too mushy, you could always follow up with a non-committal, “Hey, why so Sidious?” if you get rejected. 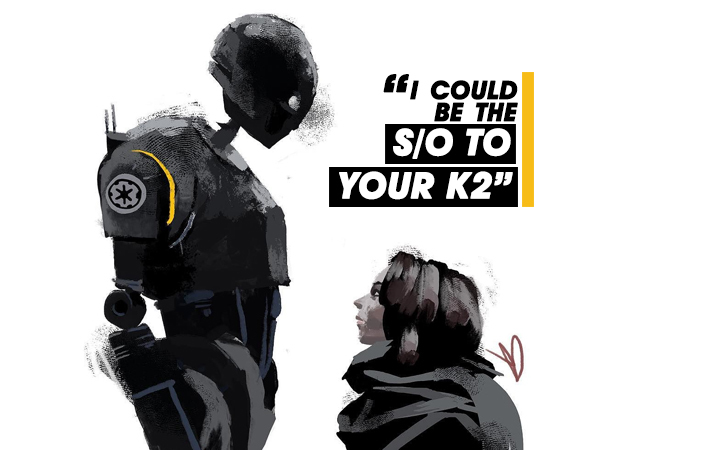 A reference from Rogue One, K2SO has fast become a fan favourite – all the better to score hearts with! 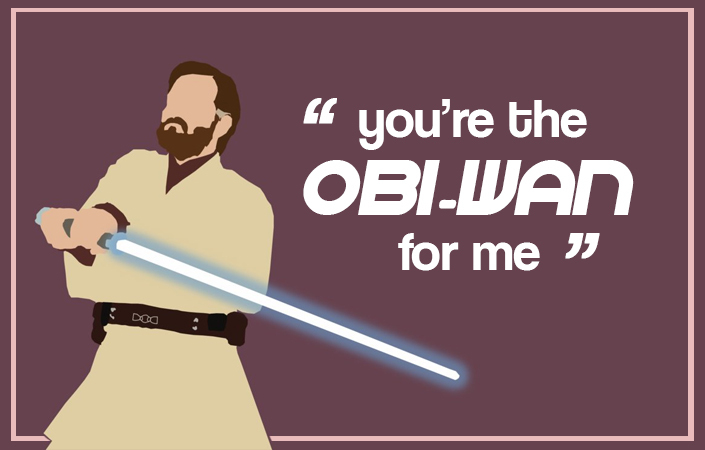 Qui-Gon Jinn was never the romantic sort, but there’s something hilarious about pairing the straitlaced Jedi Master with a cheesy pickup line. 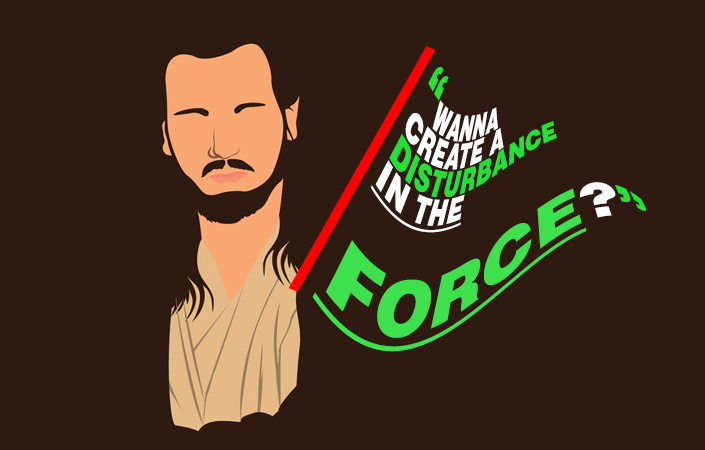 Wanna create a disturbance in the Force? We’ll leave it up to you. 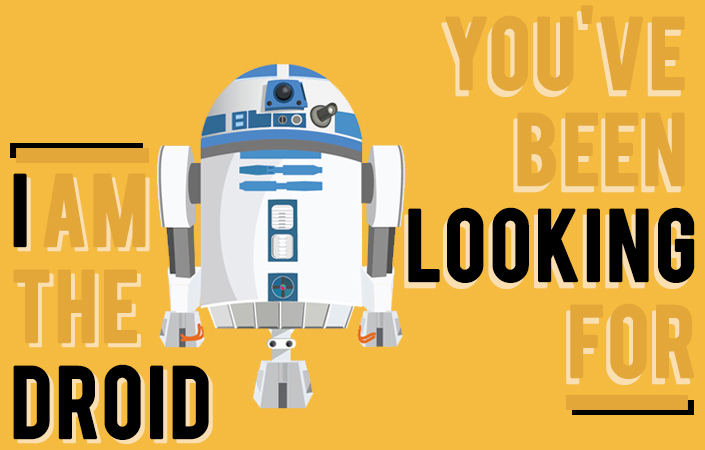 There’s nothing like the iconic R2-D2 to further remind your beau that hey, you are indeed the one he/she’s been looking for. 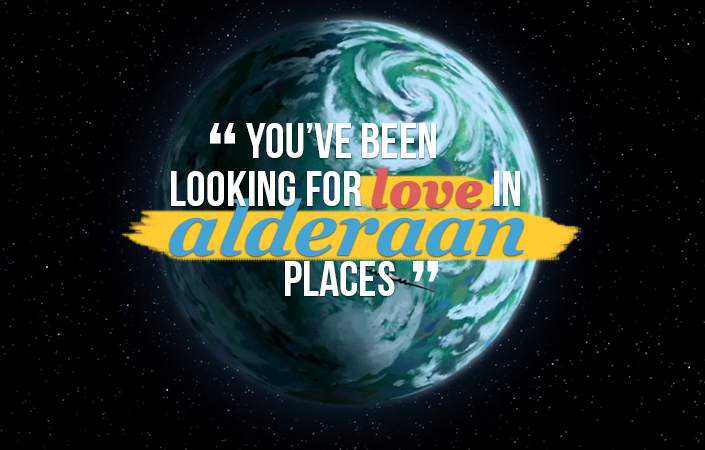 Let us know how these Star Wars pickup lines worked out for you in the comment section below! In the meantime, Happy Star Wars day and May the Force be with you! When invited to the Met Gala, you show up in your finest threads and take epic Instagram photos of course – and nobody broke protocol. From Jaden Smith bringing his chopped off locks with him onto the red carpet, to Paris Jackson actually attempting to eat hair, to the toilet gathering mid-Gala to the SelGo/The Weekend and A$AP Rocky/Kendall Jenner love-fest, it’s safe to say 2k17 Met Gala was lit. Pics or it didn’t happen, you say? Word is there’s a ‘No Selfie’ rule at the Met Gala, but leave it to Kylie to break the rules – in the bathroom no less. Yes, that’s Rihanna – all resplendent in her floral glory. It’s been barely a day and there are already gorgeous fan art of Riri in her flower power getup. As if Ryan Reynolds and Blake Lively weren’t already at the top of our #CoupleGoals list, this celeb couple went and made it on Humans of New York. Read the caption and weep! Nothing says “official” better then going to the Met Gala, and posting a photo of it on Instagram. Bumping into exes obviously doesn’t faze ’em one bit. Is it us or does ‘Selena Gomez and The Weeknd’ sound like a band/collab waiting to happen? We’re sure Joe Jonas and Lena Dunham totally didn’t plan to coordinate their outfits, but this photobomb made sure the entire world knew of their chemistry. Someone needs to tell Sarah Paulson that it’s rude to point and stare. Kidding, it’s Madonna. We’d do the same too. What’s good, Nicki? We’re guessing it’s hard to impress this diva, but when she is, it’s by the Olsen twins. Met Gala co-chair, Katy Perry channelled her inner fashion goddess and summoned this mystifying creature to attend the ball. We don’t think anybody won, but props to Celine Dion for trying. We’re sure Pharrell and Helen are the only couple who kept to the actual dress code. It looks a tad bizarre, but hey whatever goes in fashion right? Just when you thought Jaden’s locks were gone for good after his dad aka Will Smith chopped it off, he goes and brings it with him to the biggest celebrity event of the year. Not sure if his hair came as his date or as a fashion accessory, but Jaden’s bringing a whole new meaning to “attachment issues”. Unlike Jaden, Gigi was totally ready to go even sans her eyebrows. Just look at Cara Delevingne sizzling in silver! Being able to rock a bedazzled silver botak look? That friends, is a mark of a true supermodel. What Are Friends For, Paris? Paris Jackson getting snacky mid-way, and A$AP Rocky, the friend who’s helping her out. Hide your hair Jaden! Chrissy Teigen and John Legend are trying to bring #IWokeUpLikeThis to the next level. With this year’s avant-garde fashion reigning supreme, they might just have been able to pull it off. Woah what’s going on there? Kim’s kapturing Kylie’s Kodak moment of Kendall with her new man-kandy, A$AP Rocky. Looks like there’s another kouple on the horizon! What were your favourite Met Gala 2017 moments? Tell us in the comments section below! What Do Ariana Grande, The Chainsmokers And OneRepublic Have In Common Right Now? We were treated to live performances by the heavyweight likes of Bastille, Halsey, Imagine Dragons and Queen at last year’s F1 Singapore Grand Prix, and this year’s edition is upping the ante with their newly released lineup of acts. So now you know what Ariana Grande, The Chainsmokers and OneRepublic have in common: F1 of course! Arguably the “vocalist of our generation”, Ari is finally making a pit stop in Singapore! Currently on her Dangerous Woman World Tour, Ariana will be performing a (likely evening) pre-race show on 16 September, following a slew of shows Down Under. We expect the late-afternoon sun to set gorgeously alongside her mesmerising vocals on hits such as ‘Into You’ and ‘Love Me Harder’, but here’s hoping she doesn’t water down her production value nor cut her setlist to fit the Padang Stage. We previously hinted that the reigning DJ duo would be headed to our shores soon in an exclusive interview with them, and now it’s confirmed that The Chainsmokers will be bringing their explosive live set on Day 2 of the weekend’s festivities, following the qualifying race. The boys have most recently embarked on their successful Memories Do Not Open Tour in the US, and if the videos they’ve posted from it are anything to go by, we’re seriously looking forward to screaming out every word of ‘Closer’ alongside pyrotechnics and confetti this September. Ryan Tedder & Co.’s last appearance in Singapore was in 2013, which makes their return this year a long overdue and highly anticipated one. Coming off last year’s Oh My My album that spawned the singles ‘Kids’ and ‘Let’s Hurt Tonight’, the band will be performing at the Padang Stage on 15th September. 1R has also hinted at new music coming this week, so chances are we’d be watching them play brand new songs by then! Undoubtedly seasoned live performers with years of rocking out audiences under their belt, expect OneRepublic’s live set to be the #TGIF party that weekend. Organisers have yet to announce Sunday’s festival-closing headliner but guesses are that it’s a huge rock band or pop act (The return of Bieber? The Weeknd?? U2? Linkin Park? Foo Fighters???) Only time will tell. In the meantime, you can find out more information and get tickets at http://www.singaporegp.sg/. Which act are you most excited to catch? Who do you hope will be headlining Sunday’s concert? Tell us in the comments below!